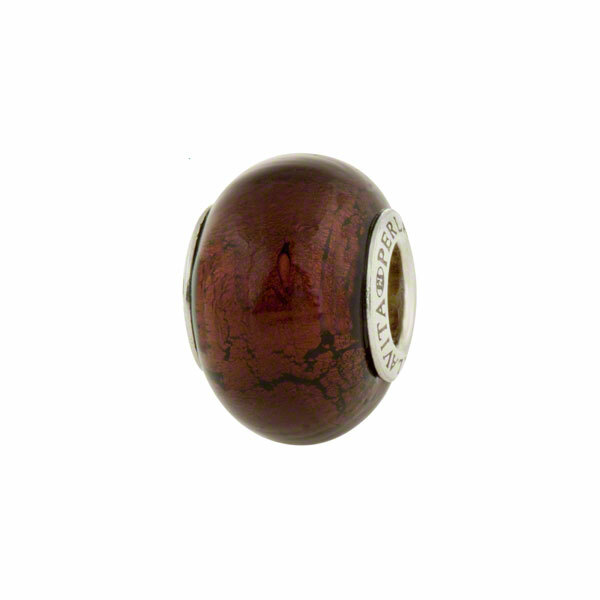 PERLAVITA Large hole bead with our Rhodium plated Sterling Silver insert. This is our Amethyst over 24kt gold foil, with the underlying 24kt gold foil giving the amethyst a beautiful chocolate appearance.Insert is Rhodium Plate over Sterling Silver. Great shape approxmately 14x12mm. The hole inside these is approximately 5mm which will fit on popular bracelet concepts.